SPECIAL TIME | Tonight! ALL NEW Love & Hip Hop Miami at 8PM on VH1 #LHHMiami #LHHMIA ~ Phresh Hott New! 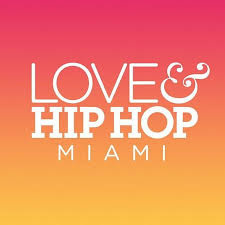 On today episode of Love and Hip Hop Miami, “Hey Stranger” Veronica brings a surprise guest to meet with Amara. Prince's nightlife takeover hits a snag. Jojo deals with family turmoil. Bobby and Jeffrey work on their relationship. An old friend pops up on Pleasure P.
Steph Lecor Shocks Amara La Negra…… Look below as Steph Lecor reveals to Amara La Negra that Veronica Vega agreed to a date with Young Hollywood.